Meet the Executive Chef of Campus, Peter! Chef Peter’s journey to his current position began with him working as a chef in hotels. He worked at the nearby University Park – Marriott hotel. 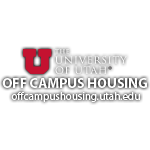 After personally working with the University of Utah’s Head Football Coach, Kyle Whittingham, he realized he was interested in being a chef within higher education. Soon after, University of Utah Dining Services offered him the position as the University of Utah’s Executive Campus Chef. 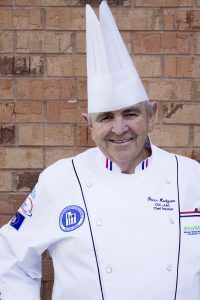 In his role, Chef Peter oversees all culinary standards on campus. These standards specifically regard food safety. All managers undergo certification within food safety, called “Serv-Safe.” This helps employees working with food to maintain “Safe zones,” through meticulous time and temperature logging. Chef Peter also helps creatively design new menu concepts for areas on campus. He especially loves working with the athletes here on campus. He described working on this campus as one of the most positive places he has ever worked. Chef Peter assembling hygeine kits for the Feed U Food Pantry. Chef Peter believes that University of Utah Dining Services’ contributions to our community are stories untold on campus. Dining Services donates tons of food back to the community through several food pantries each year. Including the Union’s own, “Feed U Pantry.” Chef Peter does not want any student to go hungry, so he thoroughly enjoys his time helping with the Feed U Pantry. Dining Services is also involved with sustainability on our campus with various efforts. They provide compost to the organic garden on campus, and they also purchase vegetables back from the garden which they serve at their campus locations. Chef Peter loves working with students and has great relationships with many throughout campus. He wants students to know that if they have any questions or concerns about dining on campus, they can speak to him about it and he will do his best to help address the concern or question. His care for students was evident by the personal greetings he received from students all over the Union before and during this interview.